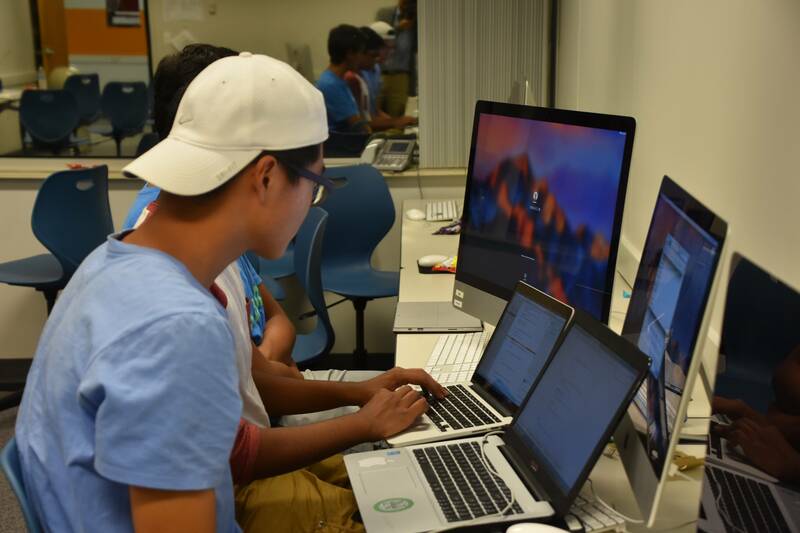 NHacks began as Michigan’s first high school hackathon that brings students of all levels of experience, personalities, and backgrounds together. This 100% free event uses collaboration and provides a venue for self-expression and creativity, young developers can push boundaries of innovation and shape the future of tomorrow. Whether it’s creating a website, an app, or even working on a hardware hack, the world of technology is at your fingertips. It's time to change the world. Flex Tech High School is a 21st century school that embraces project based learning. The school values understanding and engagement come from meaningful activity. Flex Tech encourages students to design their own path to graduation by taking advantage of interest-driven projects and flexible scheduling. Have any questions about NHacks IV? Check below for an answer! Don't worry! We will have instructional workshops during the hackathon taught by our sponsors and partners. Attendance is 100% free! All you have to do is show up and we will provide food, WiFi, and more. Any high school student is welcome to attend. No prior coding experience is required! When the application for NHacks IV is released, it will be posted to this website! Your application helps us get to know you better and know of any dietary restrictions or other needs. ​Web, mobile, hardware, you name it—any type of project is welcome. Projects will be judged based on creativity, technical difficulty, polish, and utility by a panel of judges. How many in a team? Teams should be no more than 4 people per team. Working alone is allowed, but we encourage working with others for creative collaboration and innovation. ​​All attendees are required to bring their student ID or another means of identification. Also bring laptops, phones, chargers, and any other items you will need for the event. ​Good question! Since many of our attendee's are beginners in coding we offer 7 different workshops: ​Intro to Programming (Python), Intro to Java, First Steps in Digital Security, ​Intro to Functional Programming (Ramda), Web Dev, iOS Development, and an Android Development Workshop. Have a question? Feel free to ask us anything by emailing us at [email protected]. We will get back to you as soon as possible! © Copyright 2015-2019 NHacks. All right reserved.